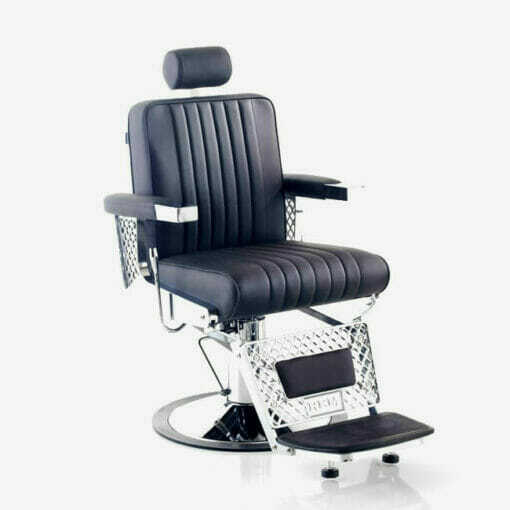 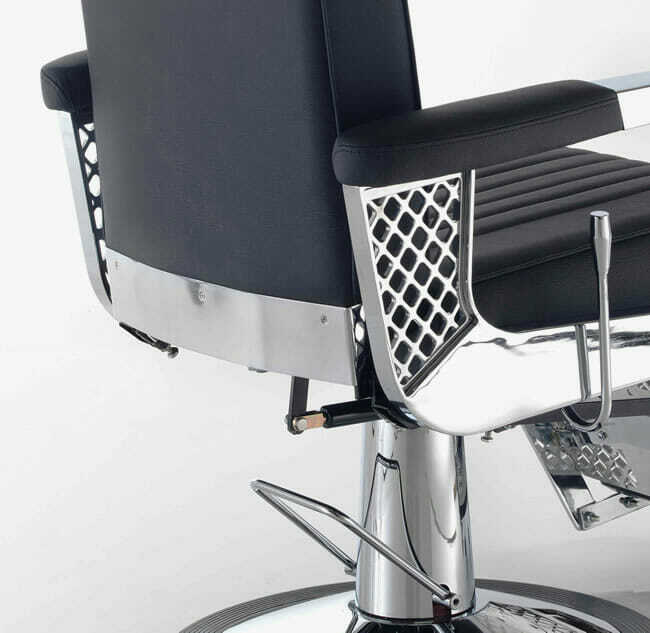 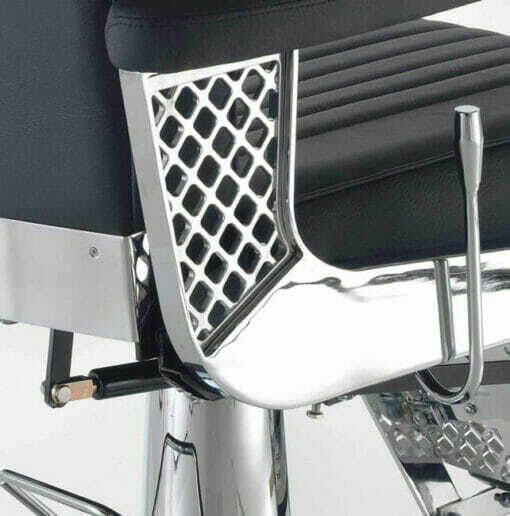 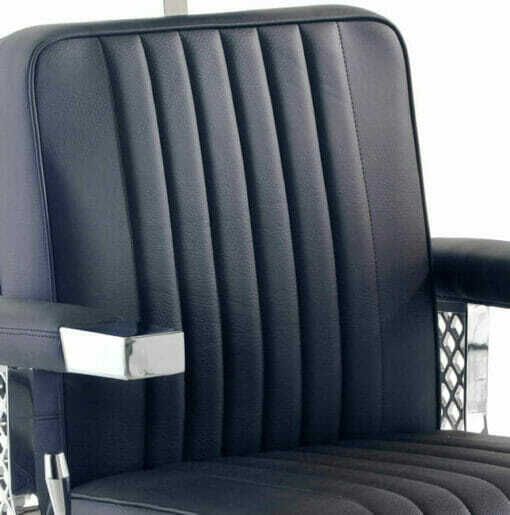 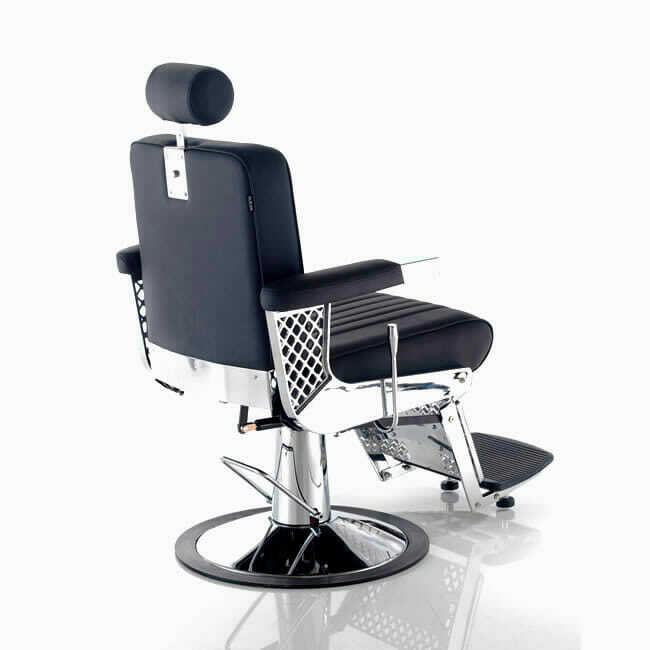 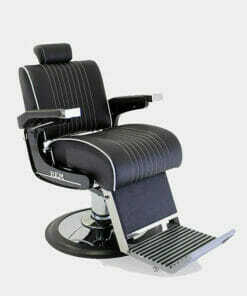 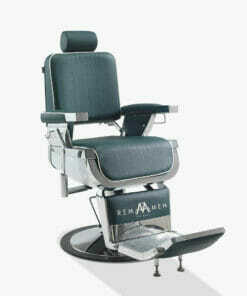 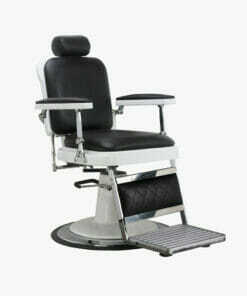 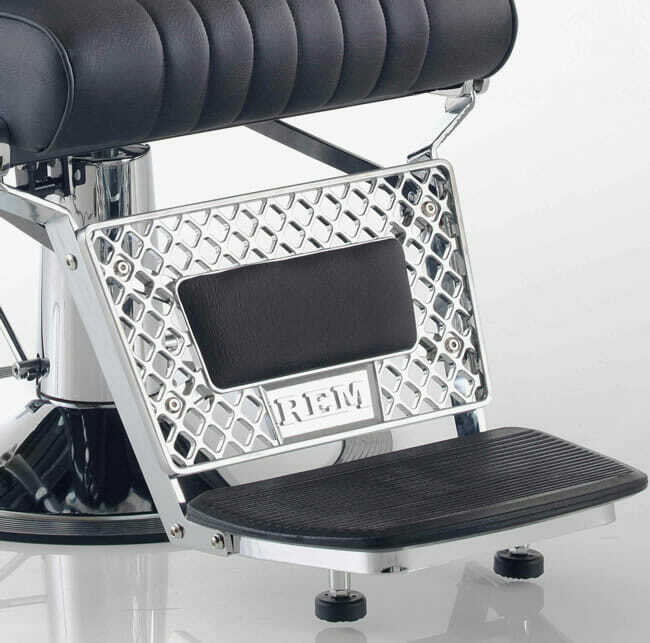 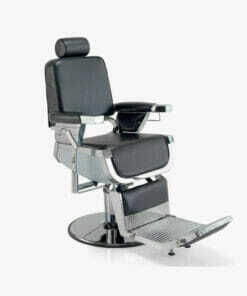 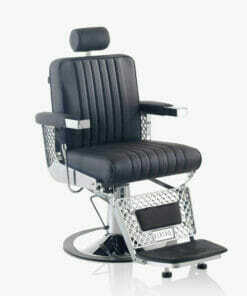 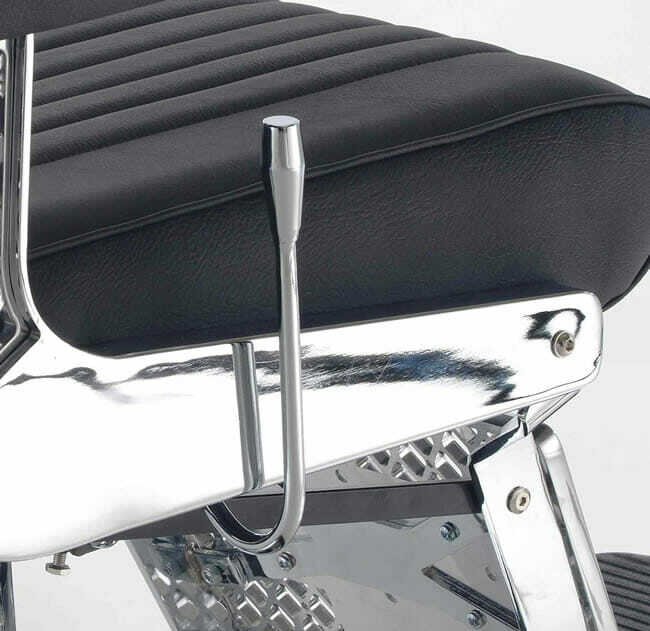 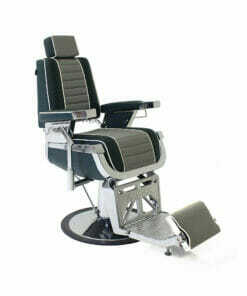 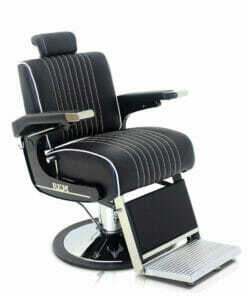 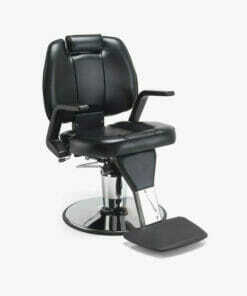 Rem Viscount Black Barbers Chair, new style barbers chair with large seat, adjustable head rest, footrest and large hydraulic locking disc base. With exclusive REM stylish chris-crossed chrome outer frame, chromed reclining handle and finished in black upholstery. 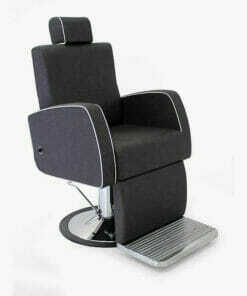 Dimensions Width 70cm, Height 54-68cm, Depth 110cm.